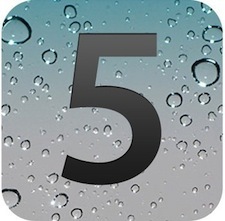 iPhone 5 Launch Date October 15, iCloud & iOS 5 on October 10? Assuming a corresponding US launch, the US release date may be October 14. This little quote comes from Mac4ver, where it was presumably overheard by whatever crowd was attending the BFM Business conference. October 15 (or 14) corresponds well with past reports of a mid-October release, but it is also possible the France Telecom CEO is only repeating speculation from news agencies. Apple typically releases new software prior to the launch of new iOS hardware, so the above date corresponds well with some separate information regarding iOS 5.
iOS 5 & iCloud to Arrive on October 10? Separately, AppleInsider has learned that AppleCare specialists are anticipating a significant increase in call volume related to iOS, possibly in anticipation of iCloud and iOS. This corresponds with a tip we received earlier in the month that Apple has been ramping up hiring at call centers for iCloud and iOS specialists. Apple has only mentioned ‘Fall’ as a vague iOS 5 release date, but new information points to a GM build arriving at the end of the month for a launch early in October. Just wondering if anyone has heard anything about itunes 11. Awhile ago it was said to be released with the ios 5 and icloud, that still true?